Had it not been for a shoe, Cinderella might never have got her Prince charming and might still be slogging in her stepmother’s home. And that’s why they say a good pair of shoes can take you to happy places. On a serious note, shoes can make or break your entire look and no one can have enough of them. If you are looking for places to buy great footwear at greater prices, Delhi is indeed your best bet. 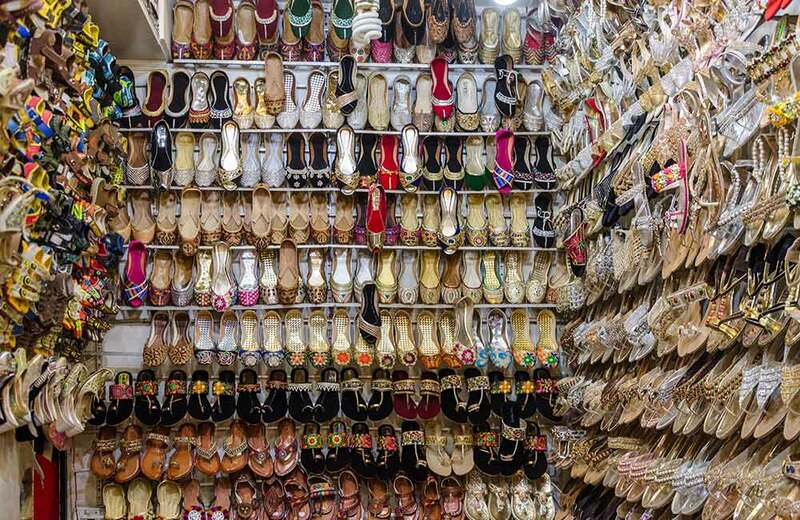 The capital city of India is a haven for shoe lovers and has no less than nine markets dedicated to wholesale footwear business. 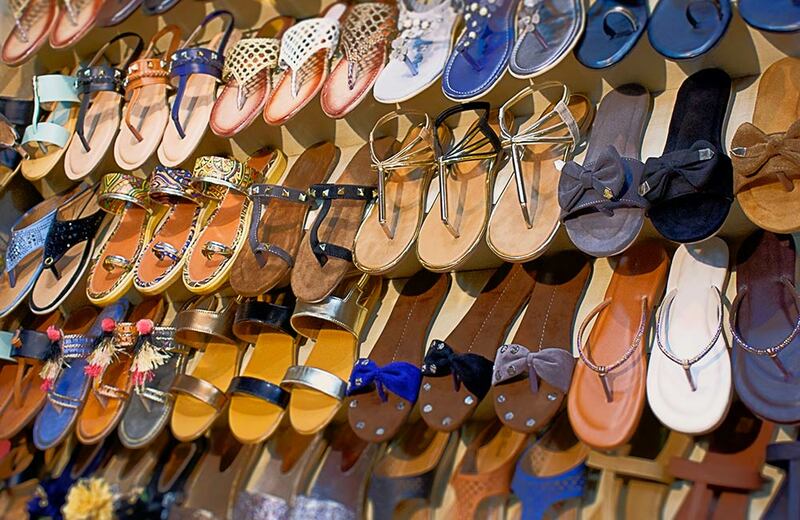 High-heels, sneakers, flip-flops, boots, pumps, sandals, wedges, loafers, you name it and these markets have it all. So, here comes our list of the wholesale shoe markets in Delhi where you can indulge in your footwear fantasies. If the opinion of the local population is anything to go by, Lajpat Nagar is the most popular wholesale footwear market in Delhi. This well-known shopping hub is truly a dream-come-true for every shoe-loving soul out there. Vibrant Kolhapuris, eye-catching flip-flops, stylish heels or formals, you will be spoilt for choice while checking out the trendy and fashionable shoes on offer there. And not just shoes, this market also counts top among the wholesale cloth markets in Delhi. 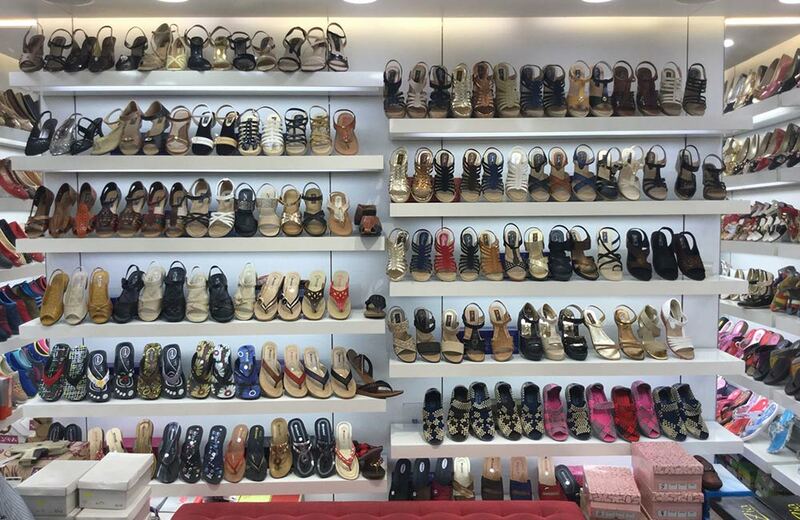 Do not miss out on visiting Style Shoes, which is one of the main footwear stores in Lajpat Nagar. Latest in trends and light on the pocket, that essentially describes Chandni Chowk, a mind-blowing wholesale shoe market in Delhi. 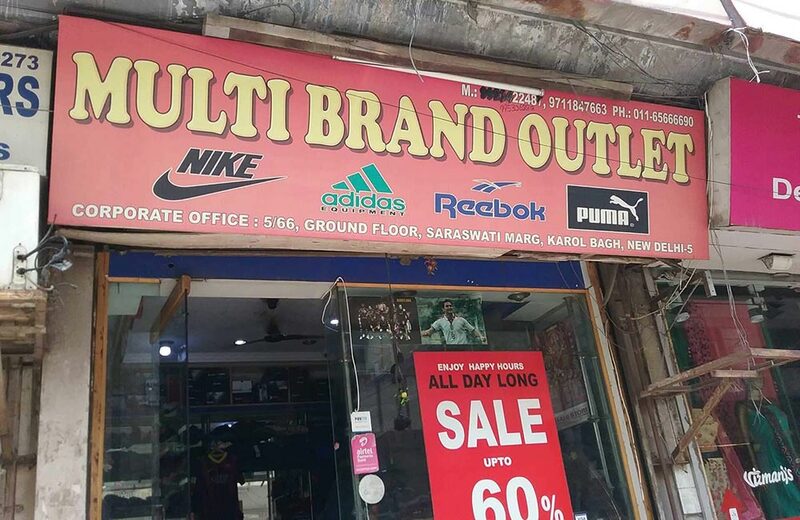 If you love flaunting branded sneakers but want them at affordable rates, you must visit this popular destination for shopping in Delhi. The replicas of top brands like Adidas, Puma, Nike, etc. are sure to sweep you off your feet, but the best part is that these products are of good quality and you can get them at throwaway rates. Make sure to visit this place early in the day as these branded replicas are sold out really fast. Do you fancy owning branded shoes that exude an enticing mix of style, quality, and class? Then head to the factory outlets dotting the Mahipalpur Highway (NH 8). You can’t label Mahipalpur strictly as a wholesale branded shoe market in Delhi, but who’s complaining when you can get the best in quality and price? You will be surprised to discover the variety of football studs and branded sneakers available at these outlets. And wait till you hear the prices! You can expect to get anything between 30 to 40% discount on the MRPs. 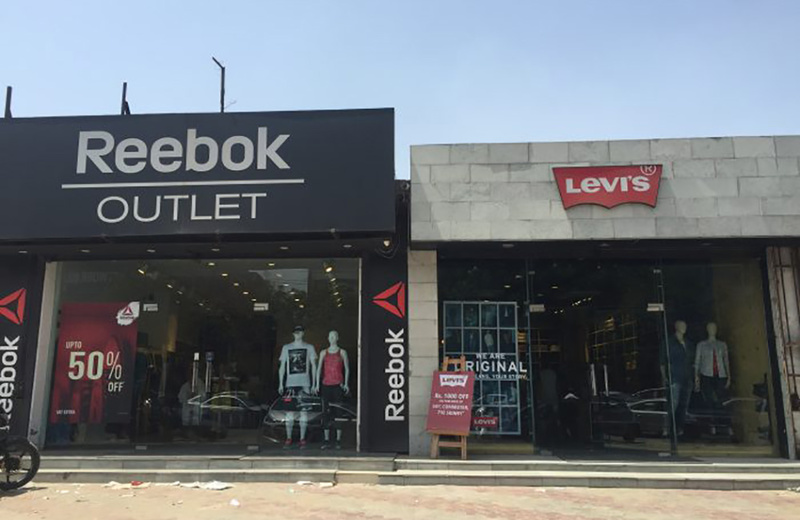 Among the major brands to be found at these factory outlets are Reebok, Nike, Woodland, Red Chief, Puma, and Adidas. 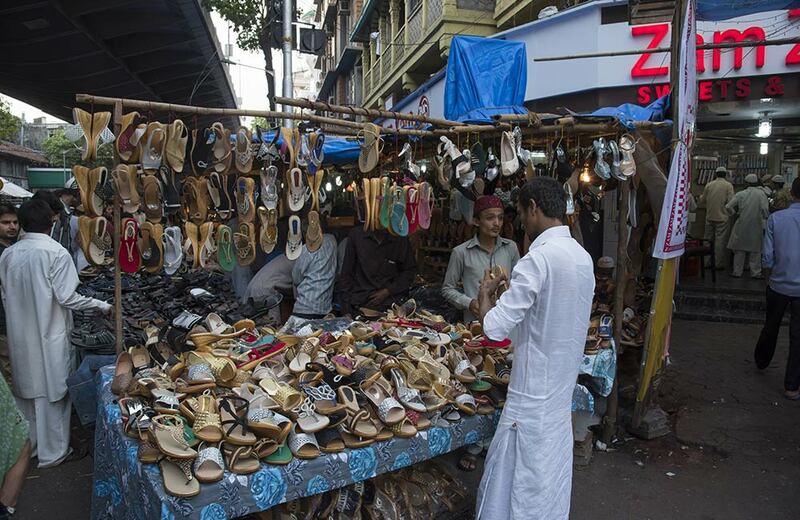 Away from the glitz and glamor of the shopping malls in Delhi stands the age-old wholesale marketplace called Sardar Bazaar that houses a lane called Chappal Waali Gali. And the name says it all, doesn’t it? While this place is a hub for shoe wholesalers in Delhi, it also has quite a few retail outlets. 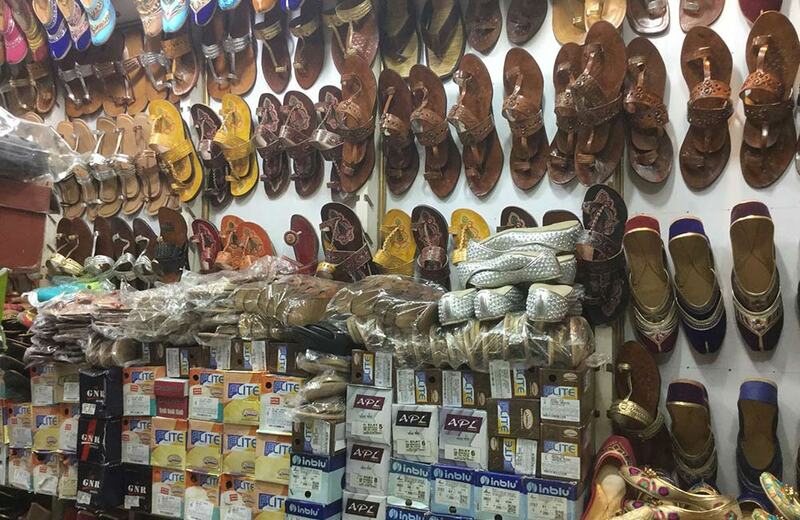 Although it is best known as one of the most popular leather shoes markets in Delhi, you will find here a variety of other shoes as well, including flip-flops, sneakers, jootis, and the like. Remember, the market almost always remains crowded with buyers and sellers, but you will love the discounted prices offered here. A popular hangout zone for Delhi University students in the capital, Kamla Nagar Market is a great place to indulge the shopaholic (or the ‘shoepaholic’) in you. It counts among the cheapest shoes markets in Delhi and is a treasure trove of comfortable shoes available in various colors and funky styles. You can make your pick from a host of flip-flops, sneakers, loafers, and a number of other options. Tank Road is located in Karol Bagh, one of the oldest shopping hubs of the capital. Since the wholesale footwear outlets here stock up on export surplus items, you can get products at dirt cheap rates here. 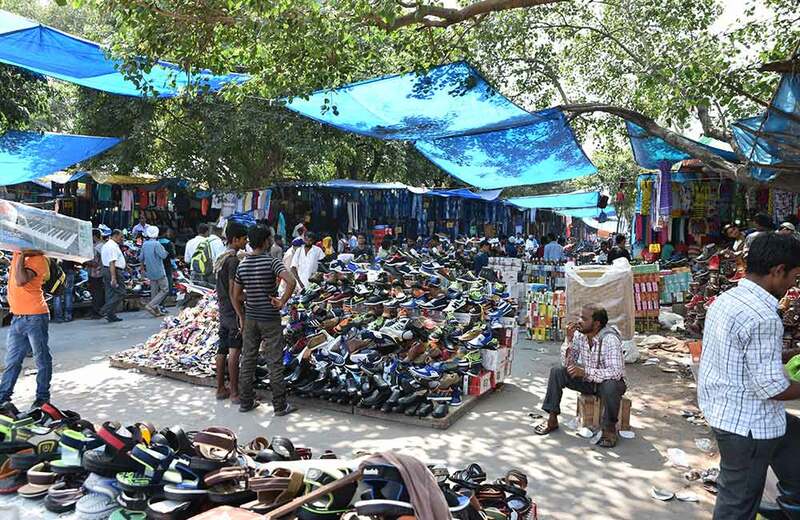 Also, Tank Road has an amazing collection of footwear for both women and men, making it a popular shoes market in Delhi. Shop at the wholesale outlets here and you can easily add some funky pairs to your shoe rack without spending more than a couple of hundreds on each pair. Meena Bazar is located very close to the Red Fort, one of the top places to visit in Delhi. Interestingly, the market goes by the name of ‘Chor Bazar’ since it stocks up on not just export surplus and second-hand shoes but stolen shoes as well! You can seal deals for branded footwear at unbelievably low prices here. Whether you are on the lookout for stylish leather boots, trendy boat shoes or gorgeous heels at cheap rates, visit this place without thinking twice. When it comes to buying shoes at wholesale rates in Delhi, Palika Bazaar is one place that you must not skip checking out. This underground air-conditioned market is located in Connaught Place and is popular as a wholesale bazaar for sports shoes in Delhi. The outlets here also offer various other types of footwear, including branded sneakers, comfort shoes, stilettos, and more. The market is located close to some of the best budget hotels in Delhi, so you can check in at one of them and explore the area at your own pace without worrying about the city’s harrowing traffic. Before you head out to Janpath on a footwear-buying spree, make sure to put on a pair of comfortable shoes. That’s because you have to spend at least a couple of hours checking out the wide range of footwear lining the rows of shops at this marketplace. Kolhapuris, sandals, chappals, you name them and Janpth has it all. Remember to bargain well and you won’t burn a hole in your pockets even after buying a couple of pairs here. When you have such wonderful wholesale footwear paradises scattered across the capital city, why not give a makeover to your shoe closet? And after a long day of shopping, you can head out to the pubs in Delhi to chill out with a drink or two. Experiencing the nightlife in Delhi will be the best way to end a long day of shopping in a fulfilling (full and filling, pun intended) way! So, go ahead and indulge the ‘shoepaholic’ in you.